​Trichomonas vaginalis , Giardia intestinalis and Spironucleus salmonicida are parasites that have highly modified mitochondria. By studying newly-identified, free-living relatives of these parasites from aquatic environments, we were able to reconstruct the evolutionary history of these organelles, and uncover their diversity. Scanning electron micrograph of Aduncisulcus paluster. Image generously shared by Dr. Naoji Yubuki. Trichomonas vaginalis and Giardia intestinalis – anaerobic parasites of the urogenital and intestinal tracts, respectively – have highly modified mitochondria, which have lost the electron transport chain and the TCA cycle, and no longer function in respiration. The organelles of Trichomonas are known as hydrogenosomes, and they generate ATP through a pyruvate fermentation pathway that produces molecular hydrogen as a byproduct. Those of Giardia are known as mitosomes; they are smaller than the hydrogenosomes of Trichomonas, more limited in function, and are not involved in ATP generation. A third, closely-related species, the fish parasite Spironucleus salmonicida, has hydrogenosomes quite similar to those of Trichomonas. Similar organelles have also been found in distantly-related anaerobic microbes from all major eukaryotic supergroups. These so-called mitochondrion-related organelles (MROs) are a major focus of study in my group. The MROs of Trichomonas, Spironucleus and Giardia have been fairly well studied: we have genome- and proteome-based evidence for the proteins present inside them. However, we know very little about their evolutionary histories, or about the MROs in their free-living relatives. How might hydrogenosomes and mitosomes, quite different types of organelles, have evolved from classic aerobic mitochondria? Which (if any) of their features are adaptations to parasitism, and which are adaptations to anaerobic environments in their hosts’ bodies? In order to begin to answer these questions, we needed to identify close relatives of Trichomonas, Spironucleus and Giardia for use in comparative studies; and ideally, we wanted some of these relatives to be free-living. The first chance we had to answer these questions came in the form of Carpediemonas membranifera – named for the saying ‘Carpe diem’ (‘Seize the day’). 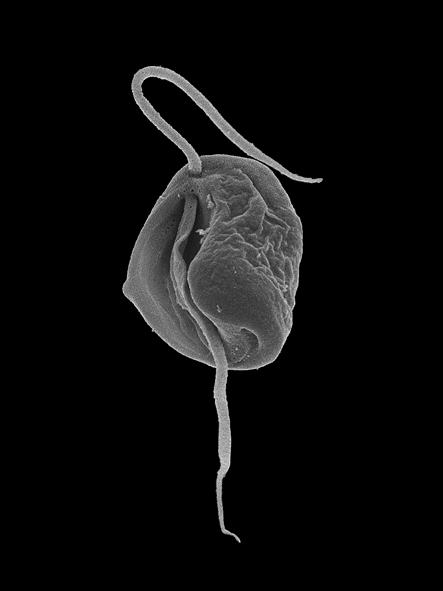 Carpediemonas is an anaerobic, heterotrophic marine flagellate, and, like Trichomonas, Spironucleus and Giardia, a member of the eukaryotic group Metamonada. Alastair Simpson had cultured a single strain of Carpediemonas in the late 1990s , and this was only one available in the world at the time. In 2005, Martin Kolisko joined the Simpson and Roger labs, hoping to work on Carpediemonas. Sadly, as often happens with poorly-understood microbial eukaryotes, our Carpediemonas culture died shortly afterwards, and so Martin’s first task was to collect seawater samples and try to reisolate Carpediemonas. At the same time, Jeff Silberman in Arkansas, Ivan Cepicka in the Czech Republic, and Akinori Yabuki, Naoji Yubuki, Kiyotaka Takishita, Ryoma Kamikawa, and members of the Hashimoto and Inagaki labs in Japan were combing ocean and lake samples, looking for unusual new organisms. 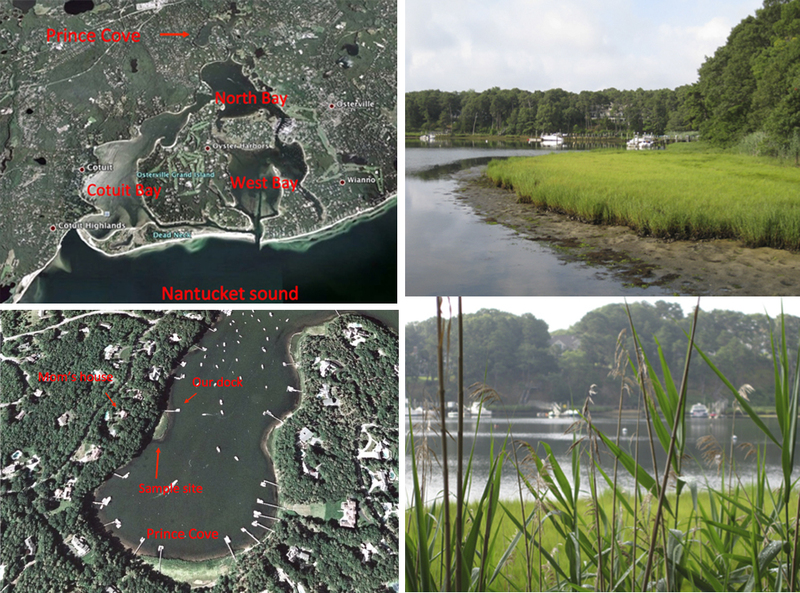 Together, they and Martin not only re-isolated Carpediemonas, but discovered a wealth of other free-living organisms that were its close relatives. These include Ergobibamus – named for the Latin phrase ‘Ergo bibamus’ (‘Therefore let us drink!’, in the same spirit as 'Carpe diem') – and Kipferlia – named for its shape, reminiscent of Martin’s grandmother’s and mother's Vanillekipferl cookies. Together, these organisms became known as Carpediemonas-like organisms (CLOs). We sequenced the transcriptomes of eight of these organisms, and compared our new data with publicly available data from Trichomonas, Spironucleus, and Giardia. We used these data to construct an accurate evolutionary tree of these organisms, and we searched for proteins that might be present in the mitochondrion-related organelles of each organism. In this way, we were able to infer gains and losses of MRO proteins throughout the evolutionary history of the group Metamonada. We had expected to find some differences between parasitic organisms and free-living ones; and indeed, we found that organism lifestyle correlated well with the presence of the glycine cleavage system. This series of enzymes is involved in the interconversion of glycine and serine, and is commonly found in mitochondria. 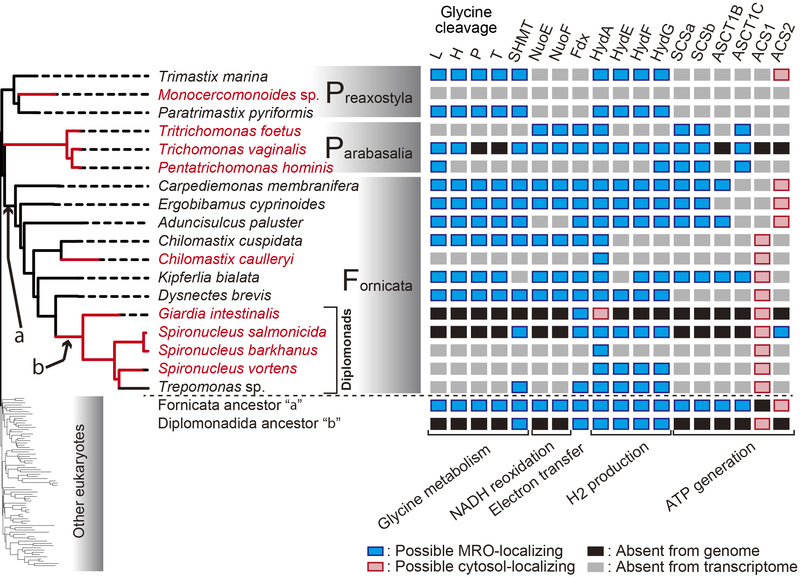 We found glycine cleavage system enzymes encoded in the genomes of all ancestrally free-living CLOs, and predicted to localize to their MROs. However, all of the parasitic organisms we studied seemed to lack the glycine cleavage system entirely. 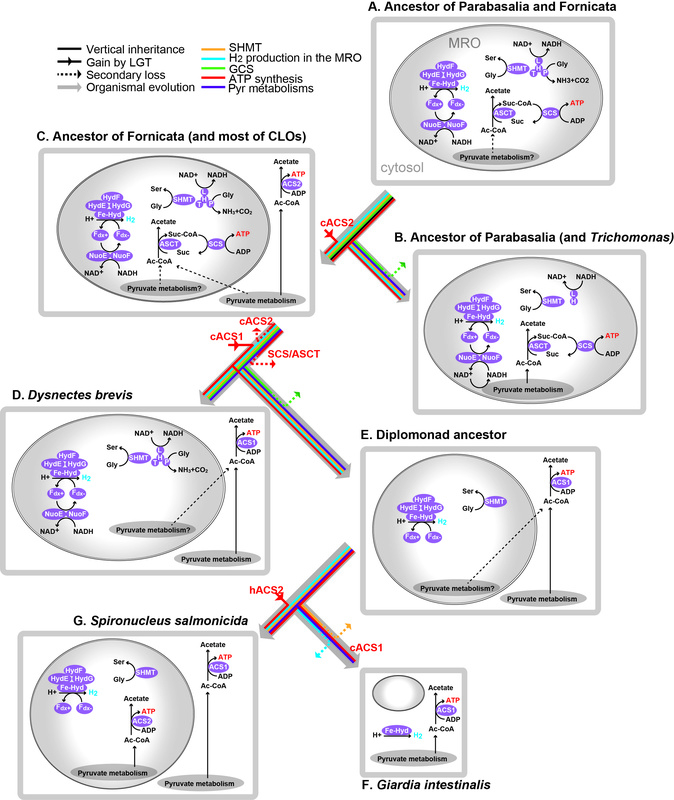 This was also the case for the single secondarily free-living organism in our study, Trepomonas, suggesting that the glycine cleavage system was lost in a parasitic ancestor of Trepomonas, and never regained. This pathway may have been lost in organisms that could rely on the host for metabolites, instead of synthesizing them themselves. We were more surprised to find that some MROs appeared to possess an iron hydrogenase – known for producing molecular hydrogen using electrons generated by pyruvate fermentation, coupled with ATP generation – even though ATP generation enzymes themselves were predicted not to be present in the MROs. Ryoma Kamikawa had an idea that might explain this puzzling finding. He hypothesized that, rather than acting in pyruvate fermentation-based ATP generation, iron hydrogenase in these MROs instead acts together with NADH-quinone oxidoreductase subunits to regenerate the NADH needed by the glycine cleavage system. This type of organelle (typified by Dysnectes brevis in the image below) would represent a wholly new type of MRO, one in which hydrogen production and ATP production are uncoupled from one another, and which could represent an intermediate step in the evolution of mitosomes from more complex organelles. An exciting aspect of working with protists is the incredible wealth of new organisms that is being uncovered every day. With the advent of high-throughput sequencing, we are just beginning to discover what these organisms do, and their metabolic pathways are changing our view of familiar parasites and model organisms. My group and I hope to expand on our findings by discovering, sequencing and studying the metabolisms of anaerobic microbial eukaryotes, particularly from poorly-studied groups of eukaryotes. Written by Michelle Leger and Andrew Roger, with many thanks to Ryoma Kamikawa, Martin Kolisko and Alastair Simpson for their helpful comments!